When it comes to transforming your 2011-2012 Dodge Challenger’s classic lines into something a bit more aggressive, Eibach has the solution: the new Eibach Pro-KITs. These kits are specifically engineered to minimize wheel well gap—getting you a lower center of gravity for quicker stopping power and faster turns. In fact, this lowering kit brings your Challenger’s front end down by 1.4” and your ride’s rear by 1.5”. Just remember to get an alignment after your PRO-KIT 2895.140. Convinced now? Then you’re in the right place. When you purchase your Eibach PRO-KIT for the 2011-2012 Dodge Challenger from AutoAnything, we ship it to your doorstep for free and back it with our 1-year lower price guarantee. What’s more, Eibach covers this suspension system with their million-mile warranty. This page is maintained by Kelly at AutoAnything. 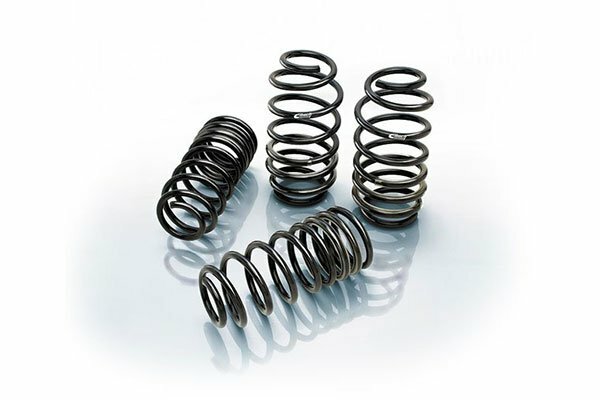 If you have any Coil Springs questions, leave a comment below. Reference # 754-013-515 © 2000-2019 AutoAnything, Inc.